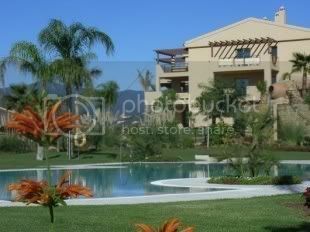 Hi there, I am looking to sell some of my property in Spain (3 properties to be exact), i found this site using an Internet search, and having had a browse think it looks great! 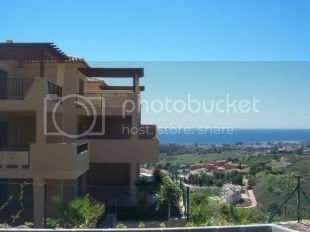 My first property is a 3 bedroom Penthouse in Benahavis. 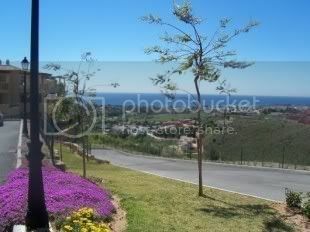 A truely stunning property on one of the most prestigious developments in southern Spain. This penthouse is truly something special. How many other properties can boast the amount of sheer luxury that is on offer here? La Hacienda del Senorio de Cifuentes is an outstanding new project in one of the most desirable new areas on the Costa del Sol. What instantly impresses visitors to La Hacienda is the incredible view: the finest on the whole coast, over the surrounding golf courses, beyond Marbella in the east to the Rock of Gibraltar in the west, and across the Mediterranean to the Riff Mountains in Morocco, over 150km away. The view from La Hacienda may be the most immediately impressive feature of this prestigious project, but every single detail from the design to the final finishes, and above all, level of comfort, is also of the very highest standard. Benahavis Costa is the new Golf Valley of the Costa del Sol, situated in the municipality of Benahavis, between the Marbella and Estepona municipalities. The world-famous Puerto Banus is just minutes away. Benahavis is a typical Andalusian white village with a reputation for fine dining. Within a radius of only a few kilometers of La Hacienda there are no less than 14 golf courses – including some of the best in southern Spain – and a further 4 are in planning stages. Nowhere could be better placed for golf than La Hacienda. The project directly overlooks several golf courses: El Paraiso, La Alqueria and El Campanario and a further 11 courses are in the immediate vicinity, including the prestigious La Quinta, Las Brisas and Guadalmina courses. As well as golf, Benahavis-Costa is well-served by shopping centers, restaurants, fitness centers, sports clubs and of course, as the name implies, beaches. La Hacienda del Senorio de Cifientes is a luxury complex built to the very highest standards. It lies within a 90,000m2 plot with a further 60,000m2 green zone to ensure total privacy and tranquility. The low-rise blocks lie within landscaped gardens with a total of six pools and are orientated to the best advantage. La Hacienda is totally enclosed and has a permanent security guard on its single access gate, an emergency helicopter landing pad and a special agreement with the local private medic al service. The apartments, penthouses and townhouses all benefit from the best design, optimising the available space and maximising comfort, and are equipped with air conditioning, underfloor heating and domotic systems. Large terraces have been incorporated into the homes, taking account of the outdoor living which is so pleasant in the Costa del Sol’s perfect climate. All homes have their own individual underground parking spaces. But one feature that really stands out are the absolutely fantastic panoramic views. There are three direct access roads to La Hacienda, directly linking El Paraiso and the coastal road, La Alqueria golf course and San Pedro junction of the main Malaga – Marbella toll road, The airport is an easy 40-minute drive along this road and Puerto Banus is a short drive in the opposite direction. Benahavis Costa and La Hacienda are within easy reach of Ronda and the great Andalucian cities of Seville, Cordoba and Granada home of La Alhambra and Europe’s most southerly ski resort, Sierra Nevada. The asking price for this outstanding property is just 650,000 €! Please E-mail me at sherco_250@hotmail.com for further information / pictures. No agents please!